A agência de notícias e de análise financeira Bloomberg lançou recentemente seu ranking de Melhores e Piores, composto de dados analisados e organizados conforme grupos de interesse para investimentos, mostrando tendências e comportamentos nas áreas de negócios, estilo de vida, finanças e políticas, entre outros. Entre as categorias apresentadas que analisam a performance de países, o Brasil ficou em primeiro lugar no quesito Países com Menor Proporção de Mulheres em Capítulos de CFA. O resultado da pesquisa apontou que o país possui uma proporção de 11.48, isto é, quase 11,5 membros masculinos para cada mulher nas sociedades CFA brasileiras, ficando à frente de países como Japão, Índia, Kuwait, Emirados Árabes Unidos e Bahrein. 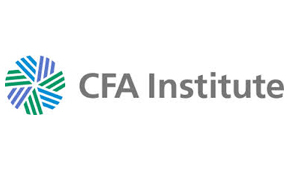 Os capítulos do Chartered Financial Analyst (CFA) Institute são parte de uma iniciativa baseada nos EUA que busca a excelência entre profissionais de investimento e finanças, exigindo de seus membros 4 anos de experiência qualificada, sucesso em 3 exames aplicados pela instituição (cada um com 6 horas), participação do membro em um capítulo local da sociedade e adesão ao Código de Ética e Conduta Profissional. If there is one aspect of coaching executive leaders that few truly understand well, it is the nature of humility. If you have been born and bred as an alpha-adult, commanding, controlling, dominating, and this is your leadership style, the very word itself can be perceived as a form of weakness, and undesirable quality in a world where lunch is for wimps. Fine, but for those who have this attitude, there are massive returns on investment for both the individual and their businesses that stand there screaming, while the executive hears and sees nothing. Before exploring humility, I do though need to mention faux-humility, and this comes from a place of great ego in the leader. This is the humility only shown on the conference platform, or the staff meeting, or the company awayday, where stories are shared, and like Lady Macbeth who doth protest too much, the minions are told at just what a humble person the leader truly is. Truly humble leaders do not speak of their humility. Authentic humility can be found in the strongest leaders, as they are the ones with the confidence in their own abilities, and who knowing both the breadth, depth and limitations in their knowledge, know when to consult, know when to co-create, know when to share, and know how to converse and be comfortable with those who are outside of their immediate peer groups. In our book Holonomics: Business Where People and Planet Matter, we conclude our chapter Seeing with the observation that “to see well is an act of humility”. This is where there are huge lessons for leaders. We hear a lot about the sharing economy, the networked economy, and what lies beyond in the immediate future, but you can’t share, you can’t co-create, and you can’t develop new sources of value for business if you do not have the humility to see that deep innovation comes from a profound understanding and valuing not just each person in your own organisation, but in your network and ecosystem. This is what makes humble leaders so powerful. We already have plenty of tools for major change management programmes, but as John Kotter continues to point out, “more than 70% of all major transformation efforts fail“. Much of the reason is the foundational level of consciousness of those leaders responsible for the programmes, and if this is not addressed, the cards are certainly stacked against the programme from the start. For me the image of bamboo is a potent one, since it is humble in appearance, yet its strength lies in its ability to bend and sway when necessary, rather than attempt to resist. This ability of the woody grass to bend without breaking lies in the fact that unlike wood, it grows without knots or rays in each stalk, and its anatomy at the cane and microscopic fiber level, provides it with its structural integrity. Humble people also have this structural integrity, and it comes by truly living the five universal human values of peace, truth, love, right-action and non-violence. Bamboo is the fastest growing plant on earth, and as we are now discovering, extremely sustainable, with many uses never previously dreamt of such as being used to manufacture bicycle frames. When we iron out our own knots and rays, by being humble to first see and then deal with those blocks inside of us, we can as leaders develop agile organisations, since with human values in place the need for layers and layers of organisation and bureaucracy lessen dramatically. 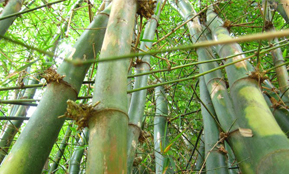 So my advice is to meditate on and be like bamboo – agile, strong yet humble.